Most fans were understandably shocked this past summer when news leaked that Pink Floyd was working on a new studio album, given the fact that the band had not released any new material since 1994’s The Division Bell. Now that work has finally come to fruition in the form The Endless River, presumed to be Floyd’s last record. The mostly instrumental and ambient-sounding music was culled from sessions going back to The Division Bell — featuring David Gilmour, Nick Mason and the late Richard Wright — and now completed by Gilmour and Mason as a tribute to Wright. The work recalls the grace and beauty of such classic albums as Meddle (especially the epic piece “Echoes”) and Wish You Were Here — in fact the track “It’s What We Do” is very reminiscent of “Shine On You Crazy Diamond” and “Welcome to the Machine” combined from the latter album. 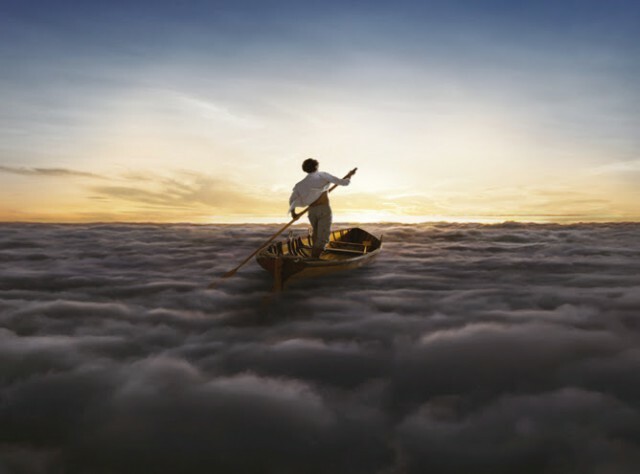 The Endless River opens in classic Pink Floyd fashion with the elegiac “Things Left Unsaid” — accompanied atmospheric keyboard playing and some subtle guitar from Gilmour — setting the subdued for the rest of the record — reflected by such lovely pieces as “Anisina” and the lush “Ebb and Flow.” They are counterbalanced by a few uptempo and urgent numbers like “Allons Y(1),” “Allons Y(2),” and “Sum,” all of which recall a little bit of The Wall. And there are those little surprises and touches that add something unqiue–from Nick Mason’s aggressive drum rolls on “Skins” to the presence of Stephen Hawking on “Taklin’ Hawkin.” The album closes with the very philosophical “Louder Than Words,” the only track that features lyrics and Gilmour’s lead vocals. For a record that is mostly instrumental, The Endless River is very satisfying (Gilmour’s soulful and piercing guitar work is as strong as ever) and certainly makes up for the somewhat spotty and critically-maligned The Division Bell. At a face value, The Endless River a cohesive musical concept piece like of the old days, pre-The Final Cut. If this is really indeed Pink Floyd’s swan song, it’s a fitting and dignified work to end a legendary career on.